There’s also talks of a flagship Bentayga rival. 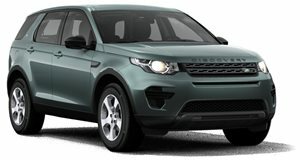 Land Rover already has an extensive range of SUVs in its line-up covering just about every niche you can think of. While Chief Design Officer Gerry McGovern recently ruled out the possibility of building a seven-seater Range Rover in response to the upcoming BMW X7, the executive is looking to extend the current Land Rover line-up by expanding the Discovery family. “A brand like ours has this ability to stretch." McGovern said in an interview with Automotive News Europe. I would argue you could have two Range Rovers that are exactly the same size but if they had two personalities then they've both got equal appeal but to different customers.” Currently, the Discovery is only available in two flavors compared to the four variants currently available for the Range Rover: the standard model and the more affordable Sport. McGovern sees potential to expand its current offering. “For me, a family is more than two and with Discovery we've only got two vehicles, so there are a lot of opportunities,” he said. McGovern didn’t divulge any further details, but it wouldn’t be surprising to see Land Rover introduce a new Discovery similar to the Range Rover Velar. Don’t expect to see a new Discovery any time soon, however: “We have to work out what our priorities are and what level of investment is required,” he said. McGovern also opened up about the prospect of building a more opulent flagship machine to battle against the Bentley Bentayga. As McGovern points out, Land Rover’s SVO customization already builds high-end Range Rovers that can cost over $200,000 which already enters Bentayga territory. “What we have is the pedigree and authenticity in that sector. That's what we're renowned for. We’ve got the unquestionable pedigree, so why wouldn't we do it?” he said.